Creativity has many benefits like freedom of expression, and opening doors to new opportunities. Kim Bonner, a Fenton, Michigan artist, generously chooses to use her creativity to help benefit girls in foster care. Bonner has a passion for using artwork to help others. She created and self-published her first coloring book in 2015. In a significant burst of creativity Bonner recently produced a coloring workbook with journal prompts for young women including those in foster care. A foster care program director and school counselor inspired her to create exercises, stress relief tips, and journal prompts for each page. The workbook is called, “Courageous Coloring”. Many kids who enter foster care arrive with a limited amount of personal items. 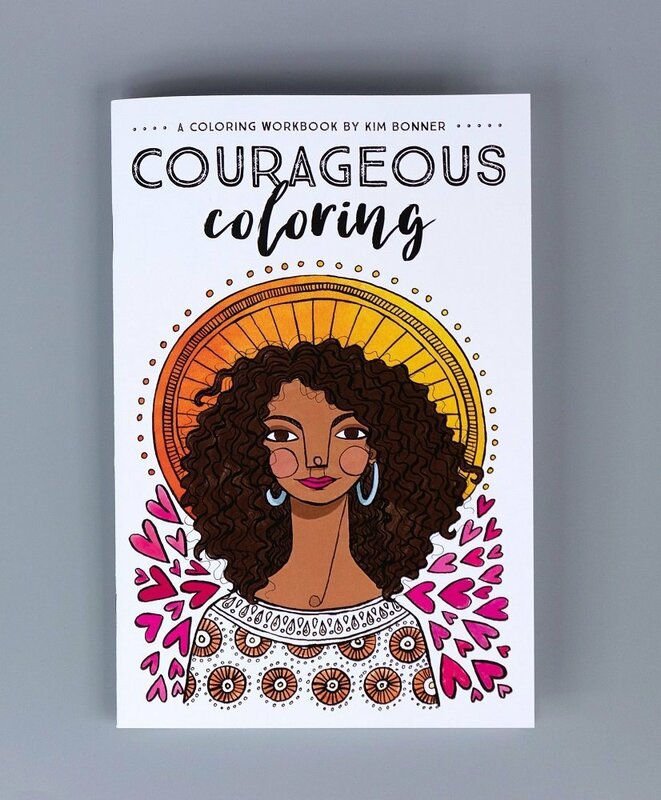 Bronner has given and continues to give out free copies of her Courageous Coloring book to non-profit organizations. They create welcome bags with pajamas, toiletries, and other essentials for a child’s first night in foster care. Bonner’s coloring workbooks are not exclusive to foster care. Topics include: setting goals, dreaming about the future, dealing with stress, and celebrating our differences. These workbooks provide stress-relieving strategies to help young girls feel positive about themselves. For the foster care girls, it helps them to process and cope with their feelings during a difficult time in their lives. You can help Bonner spread positive messages to young women and continue her charity efforts with foster care girls. With each workbook purchased, more coloring workbooks go to girls in foster care! Give a gift that might impact a young girls life in a remarkable way. To purchase books follow the link to Bonner’s website Make Lovely Things.